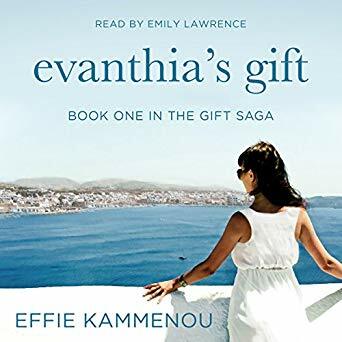 All parts of The Gift Saga are now out on audio. Emily Lawrence did a wonderful narration with her warm voice and captivating intonations. Her greek accents and male voices are great. This is a truly captivating audio production of a very intriguing, unique story! Check my quick and easy step-by-step guide to get the Audible Romance Package from outside the US: click here. Next Ball Peen Hammer: It’s been… a pleasure! Nice review and looks like a fun giveaway! Great review and giveaway. Never heard of the book until now. Great review. I have found that buying the e-book (if it is quiet low priced. or getting it free) then getting the audible version through Amazon at a hugely reduced price is a real bargain.